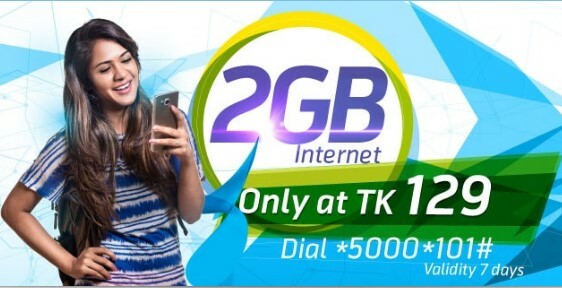 GP 2GB Internet 129Tk Offer! 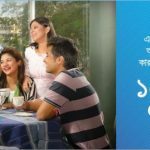 Grameenphone all prepaid and postpaid customers will get GP 2GB Internet 129Tk Offer with exciting validity. It’s a very good news for all GP internet users. Many users who are using GP but they could not know about GP Internet Package. The customers are searching to about GP Internet Package 2017. No tension, just read this full article to get all more update information about this offer. 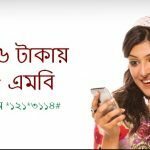 Because today I will share for all GP users how to active GP 2GB Internet 129Tk Offer. If you want to active this offer, just follow our site. Let’s start to do it. To active GP 2GB Data only 129Tk Offer, customers need to dial USSD Code *5000*101#. Customers can also enjoy 2GB with 5 All Net SMS for 7 Days at Tk 129 (Inclusive of SD+VAT+SC). To check your internet balance, just dial USSD Code *121*1*4#. GP 2GB 129Tk Offer will run until further notice. The customer can activate an unlimited time during this offer period. After Internet Volume Expiration customers will be charged Tk .01/10KB (till validity exists, up to 200 Taka). Unused Data Volume will be carried forward if the customer purchases the same pack (2GB at Tk 129) within the active validity period. We hope all customers can get update information to active GP 2GB Internet 129Tk Offer. If you want to know GP 2GB Night Pack 54Tk Offer, just stay with us and follow our site. Have you any objection about this offer, just comments the box. We will try best to solve your problem.Thanks all users for being with us.